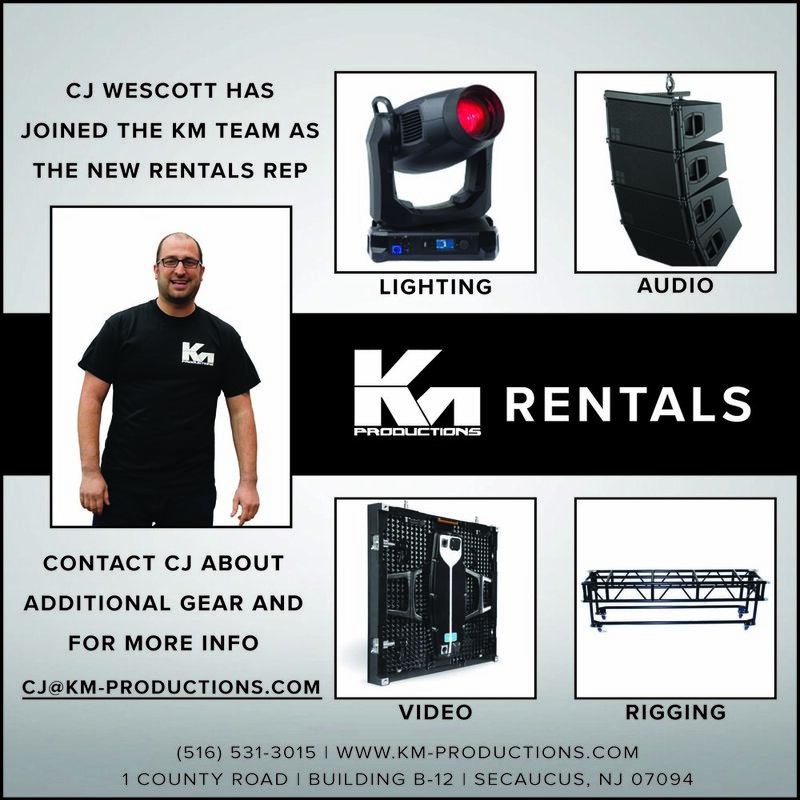 KM is excited to welcome CJ Westcott to the team as our new Rentals Representative. His past experience as a rentals wizard and extensive knowledge of our inventory of lighting, sound, video, staging, rigging, special effects and cable equipment make him an unmatched asset to the company. KM offers dry-hire rentals with the same guarantee of unmatched customer service our company is known for. Our inventory of lighting, sound, video, staging and rental equipment is quality checked and ready to go. KM also offers the option of on site tech support for our rented gear. Be sure to check out our new rental inventory on the website. Click here to see our product overview. KM now has a new and bigger home in Secaucus, NJ. We are confident that the size and location of our new space will help us serve our customers even better and will allow us to expand our growing rental inventory. Perks of our new space include four loading docks, increases square footage to house our rental inventory, office space to meet with clients and increased floor space to stage outgoing gear. We look forward to working with all of our existing clients and our future clients in New Jersey. This summer, KM Productions was given the honor and task of producing the inaugural summer of the HRBR Project by RPM Presents on Governor's Island. The new venue hosted 5 headlining shows over 3 weeks. 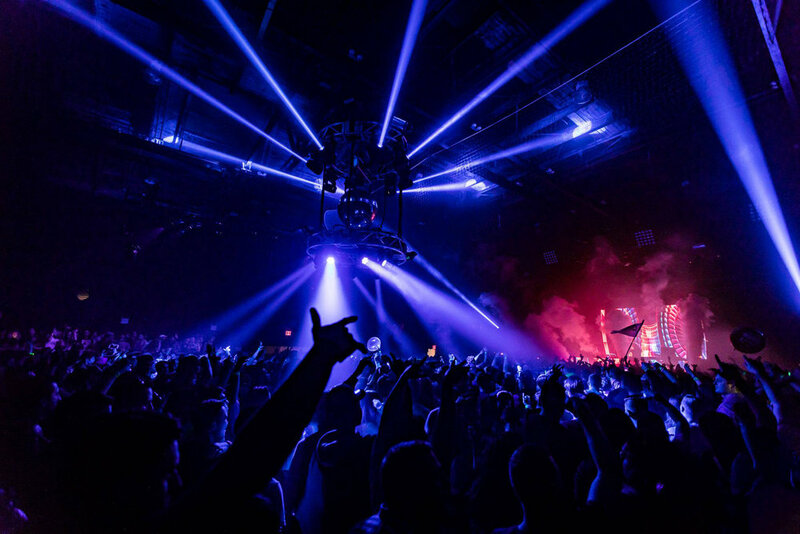 The kick-off weekend brought headliners Hardwell and Carl Cox to the stage for back to back Saturday and Sunday shows. 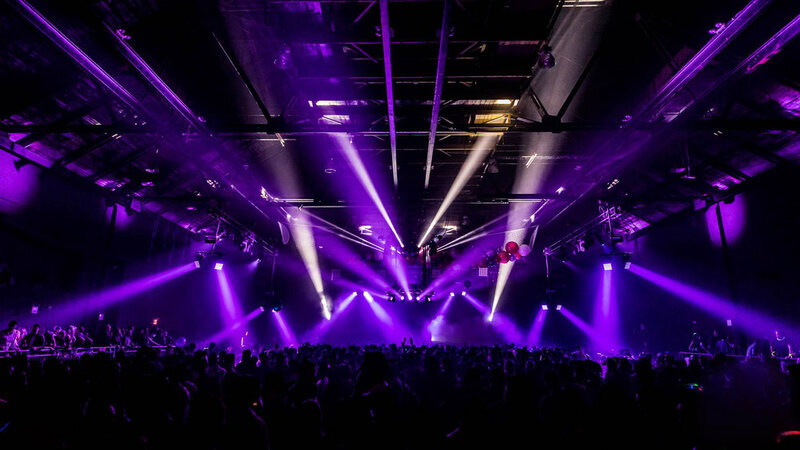 HYTE came to the venue for the second weekend and added a second stage to accommodate artists like Loco Dice and Richie Hawtin. Following HYTE, Body & Soul played to a reminiscent crowd during a day-time concert. The apex was Tiesto playing to a sold out crowd on July 4th. During Tiesto's show, designed by Aron Altmark, fireworks exploded over the crowd, which had a one-of-a-kind view from their position on Governor's Island that included unobstructed scenes of NYC and the Statue of Liberty. KM provided lighting, sound, video, truss, staging and most notably, our new self-climbing roof structure. KM worked with the individual headliner management and design teams to make sure their designs came to life. We are excited to announce that Eddie Dean of RPM Presents and Schimanski’s has brought in KM Productions as the exclusive production vendor on Governor’s Island this summer. The six-acre space will host dozens of events over the summer including concerts, festivals, food and beverage fairs and social meet-ups. KM will be the island's central provider of lighting, sound, video and staging services and equipment. Headlining DJs like Tiesto and Carol Cox have already booked shows on the island. Our team is thrilled to provide full-service event production or collaborate with production teams to ensure lighting and sound designers have top-quality equipment to work with for every show or event. We look forward to working with the talented production management teams, designers and artists that will be coming to the island this summer. A big thanks to Chauvet for their great products. Definitely a brand we can't work without. Big Week NYC has always been busy for KM but this year was busier than ever. We had 4 shows back to back spanning three different venues in Manhattan and Brooklyn during the week leading up to New Year's Eve. We took on DJ Snake, Justice, Gareth Emory and Hyte all at once. This year we had our pre-rig truss system, which made it all possible. KM was also recognized in an article by the music blog Respect Your Youngers. 2016 was definitely the best so far of our 5 year's working with RPM at Pier 94 to produce Pier of Fear on Halloween weekend. Above & Beyond headlined to a sold out crowd and really made our video walls look great. We were honored to have Dancing Astronaut write an article about how we produce three shows back to back on a big holiday weekend like this one.